1.Wayanad is reckoned as one of the safest constituencies for the Congress in Kerala. 2. Wayanad have the largest tribal population in Kerala with 8 scheduled tribes including Adiyan, Paniyan, Mullukkurman, Kurichyan, Vettakkuruman Wayanad Kadar, Kattuniakkan and Thachaanadan Mooppan. 3. Evidence hint at Wayanad’s existence since the beginning of the New Age Civilization. 5. Agriculture is the backbone of the economy. Though known for its coffee, tea, cocoa and spice, the most important crop of Wayanad is rice. The name of Wayanad comes from, ‘Vayal Nadu’. ‘Vayal’ means field of rice, and ‘Nadu’ is a South Indian name for land. 6. The only earth dam, Banasura Sagar Dam which is the largest in India, and second largest in Asia is situated in Wayanad. 8. The Muthanga Incident refers to an incident of police firing on the Adivasis in the Muthanga village of Wayanad. On 19 February 2003, the Adivasis had gathered under Adivasi Gothra Maha Sabha (AGMS) to protest the Kerala Congress Government’s ( Congress’s A.K Antony was the Chief Minister) delay in allotting them land, which had been contracted in October 2001. During the protest, Kerala Police fired 18 rounds resulting in two immediate fatalities. 10. It is a constituency consisting of seven assembly constituency segments spread over three districts Kozhikode, Wayanad and Malappuram. Seven assembly constituencies- Manathawady, Sulthan Bathery, Nilambur, Wandoor, Eranad, Thiruvambady, Kalpetta. 11. In 2009 and 2014 elections, Congress’s late M I Shanavas won in Wayanad. 12. CP Jaleel, Kuppu Devaraj, a senior member of the Central Committee of the Communist Party of India (Maoist), and Ajitha, a woman leader of the group’s Karnataka wing, were killed in encounters with the Kerala Police (CPIM lead LDF government) in the forests of Nilambur in Wayanad constituency. The murders had created serious fissures within the Left Democratic Front coalition government in the state. The suspicions that the killings were the fake encounters has gained strength, activists said. 13. For the first time a PM candidate will be contesting from Kerala. 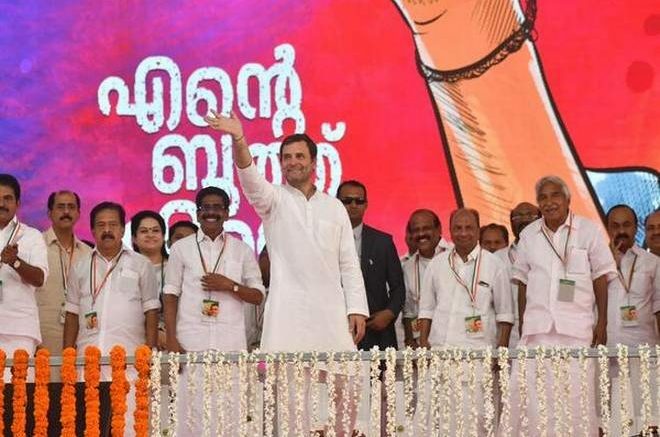 Be the first to comment on "14 things to know about Wayanad, Congress chief Rahul Gandhi’s second seat"